Are you a college student? Everyone needs to take a break and have some fun. 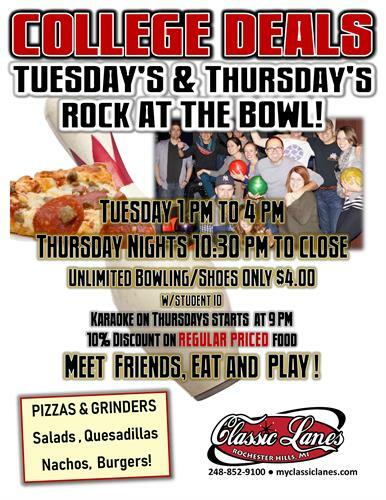 Join us on Tuesdays between 1 and 4PM to have some fun, maybe a little competition along with low impact aerobic exercise while bowling a game or two or three. Come when you can and we'll miss you when you can't but we'll understand. Sometimes school gets in the way. Be sure to bring you ID until we get to know you.